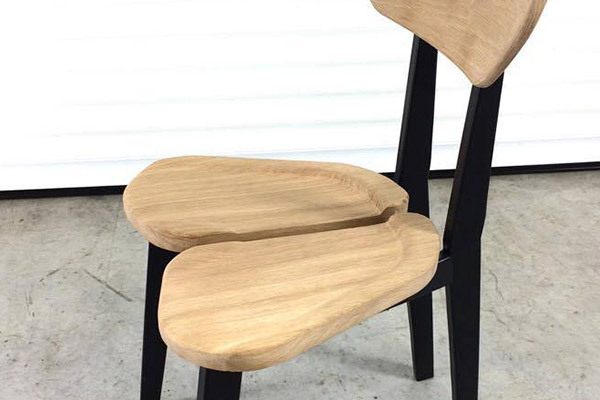 Constantly pushing the limits of imagination: Romuald Fleury designs and manufactures every piece of furniture he creates. He produces small series on request, and he can offer you to fit your specific requirements. Every creation is identified with its name, date of manufacturing and serial number if it is part of a series. Functional, minimalistic, the Console “Air” seems to be floating in the air. 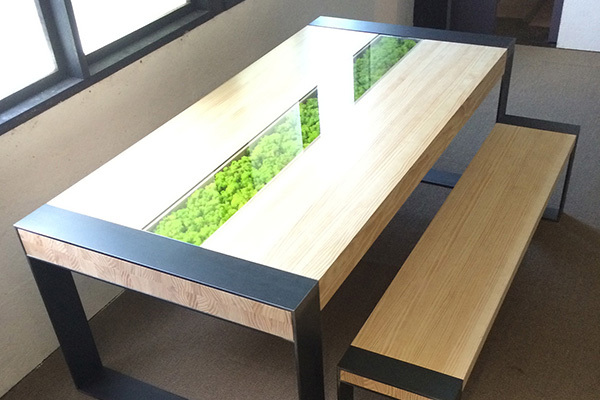 Manufactured with tempered anti-reflective glass, high-end materials and finishes. 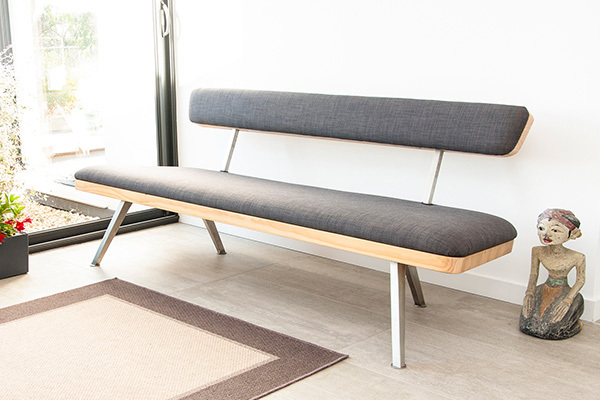 The Sofa “Butterfly”, born from the imagination of Romuald Fleury, is designed for its comfort and ease of customization. A matching armchair completes the line. The Armchair “Butterfly” is the perfect match for the Sofa “Butterfly”. It offers its modern curves and warm comfort to avant-garde design amateurs. The Table “Canopée” is in essence natural, with its table runner inlayed with stabilized moss it will bring a touch of freshness to your interior. 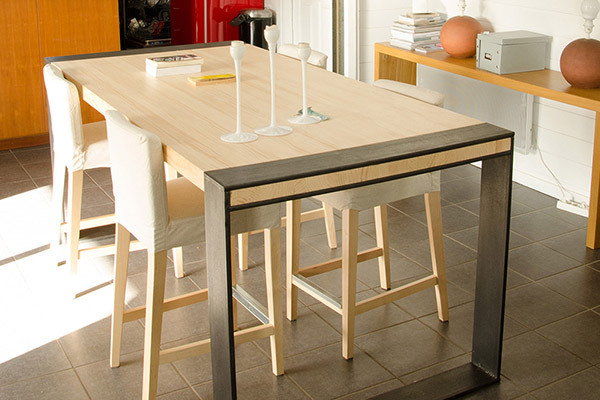 The Table “K.Ro” associates minimalistic design and pure lines. 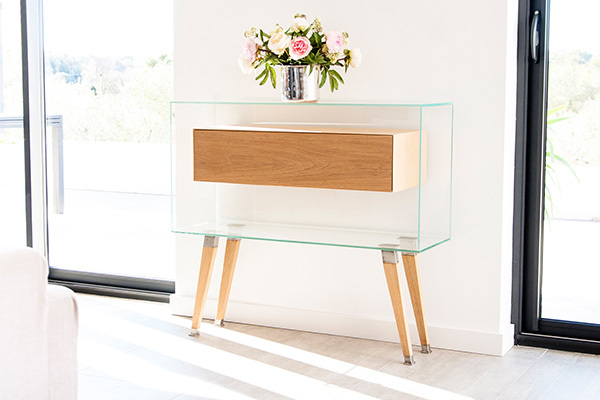 Original, its high-end materials and finishes will enchant demanding design amateurs. 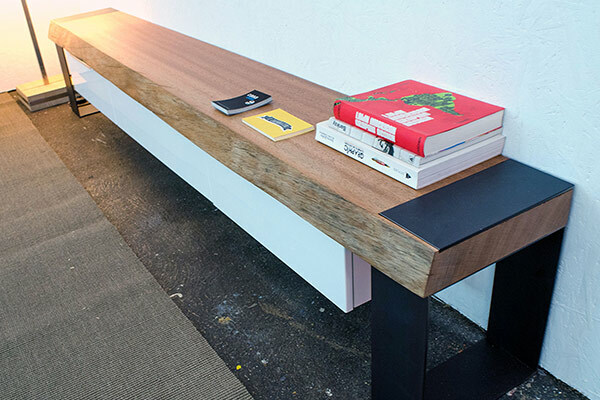 Designed for your devices such as television, DVD player or stereo system, the Console “Plot” plays with the contrasts between its materials to become attractive. 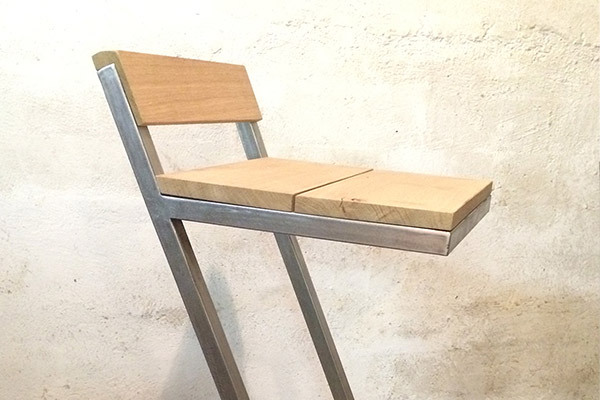 The sharp lines of metal and soft curves of wood of the Chair “X” designed by Romuald Fleury are a display of sensitivity in using contrasts between materials. The Barstool “Z” brings to your interior the personality of his sharp lines and offers by contrast the comfort and warmth of oak wood.